Owner and Clinical Director of 61 Dental. Paul qualified in 1982 and has worked in Gatley since 1986. He launched 61 Dental in 2009. 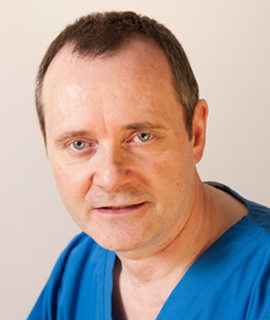 Paul's aim is to deliver dentistry of the highest quality and in order to achieve this he regularly updates his knowledge with all the latest dental techniques, by undertaking postgraduate study and CPD. Paul has a special interest in temporomandibular disorders (TMD, jaw pain problems) and also works and teaches part time at the Manchester Dental Hospital TMD clinic. I have never forgotten the reason why I chose dentistry as my career and understand that many people are anxious and sometimes fearful about dental procedures. My approach has always been to inspire confidence by delivering my dentistry in a caring, light hearted but professional manner. I am proud of the reputation we have built up as a practice and feel privileged to have seen many generations of the same family throughout my many years in practice.